When we spoke about Norway in the past, we really wanted to visit Stavanger, and visit the fjords. That being said, that deemed to be a little too much seeing Annemarie is carrying our little gal, and the fact that tickets to Stavanger are rarely considered “cheap.” So, we headed off to Oslo for the weekend, which was our final piece in the Nordics. We visited Helsinki, Denmark & Sweden back in 2009 on our RTW Trip, and hit up Iceland back in October for my 34th birthday. Tickets are always cheap to get to Oslo, so it was more about the right weekend and lucking out with the weather. The famous ski jump of Oslo…yup, that’s about it. Now, we always though the most expensive city we visited was Tokyo, until we visited Denmark, and now that award goes to Norway….but a kilometer! The cheapest beer I could find was equivalent to €10…yes, euros, not even dollars! Everything was over the moon, even public transportation. The train from the airport to downtown was 22 minutes….and costs the equivalent of €25 per person. Unreal if you ask me. The odd fact about Norway…the have more oil on reserve than anyone in Europe, and they don’t use any for personal consumption….just in case the world runs out of oil. The taxes are through the roof, it has more darkness than sunlight, and it’s pretty remote. Oslo is also the heroin capital of the world, and has one of the highest suicide rates in the world. Unique city to say the least…but on to the good stuff. 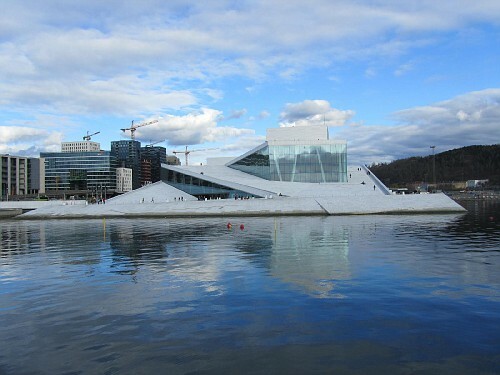 Oslo is uber expensive, uber clean, uber modern and….kind of boring. I was warned about this from none other than my father, who had visited years before. There’s the ski jump, wow! Yeah, not really. There’s the fortress, which I guess is cool, but no great battles happened there and it’s practically 100% intact. There’s the waterfront, but unless you want the priciest of pricy restaurants and drinks, no reason to really bet there. They have a pretty cool opera house, but just the building is unique, as I don’t care much for opera personally. The only thing I really wanted to see, and it lived up to expectation, was Kon-Tiki. The raft that made it from South America to the Polynesian Islands. Although anthropologists and scientists now think that what they proved by sailing actually proves nothing, it’s pretty amazing they made it 4,300 miles on a raft made out of balsa logs. 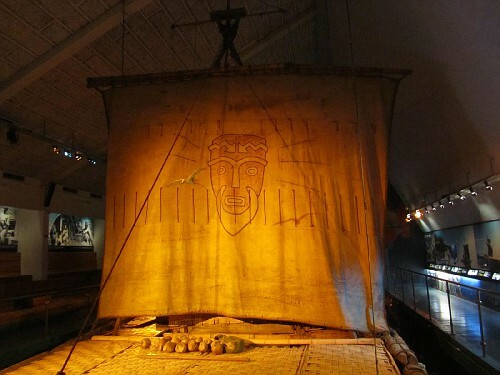 There was also a boat in Oslo, a Viking ship, which is about 900 years old, and very well preserved. It actually was brought back from the Northwest Passage where it was frozen in ice. Not bad if you ask me. 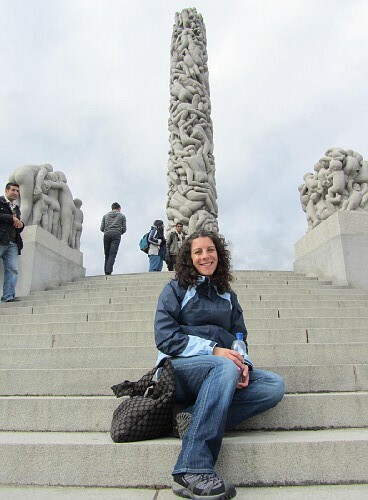 The monolith in Frogner Park…400 naked people, circle of life! Will I be back in Oslo? Probably not, but I will get to Stavanger to check out those fjords one day. Next up, Andorra!